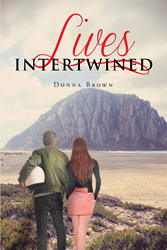 Author Donna Brown’s Newly Released “Lives Intertwined” is an Engaging and Unforgettable Story of a Young Man Who Finds Love While Searching for Himself on the Road. “Lives Intertwined” from Christian Faith Publishing author Donna Brown is a timeless tale of a young vet left confused by his service and searching for understanding and purpose. “Lives Intertwined”: a heartfelt and engaging story of a young man fresh from the most traumatic of circumstances, struggling to deal with the reality of his situation. He leaves to find balance and discovers love and acceptance on the road. “Lives Intertwined” is the creation of published author, Donna Brown, author and dedicated writer. Published by Christian Faith Publishing, Donna Brown’s new book begins with the past catching up with Eric Stone, WWII Veteran plagued by nightmares and claustrophobia. Eric struggles to come to terms with his German twin brother dying in his arms which led to his imprisonment. Troubled and restless, Eric leaves his relatives in Colorado and rides a motorcycle to the California coast. Is he searching for happiness, a place he can really call home, or trying to fulfill a promise to his dying Hawaiian friend who wanted to teach him how to ride a surfboard? Eric only knows that his uncle, Colonel James Stone, will be home soon, and right now he’s too angry to confront him. Near the coast, a car runs Eric off the road then rams the Arroyo Grande high school bus. Though injured, Eric hobbles to the site of the crash. His assistance to the injured students endears him to families in the coastal town. He stays all summer, manages to fulfill his promise, makes many good friends, and falls in love with Kathy Ryan, but almost loses all he gains. View a synopsis of “Lives Intertwined” on YouTube. Consumers can purchase“Lives Intertwined” at traditional brick & mortar bookstores, or online at Amazon.com, Apple iTunes store, Kobo or Barnes and Noble. For additional information or inquiries about “Lives Intertwined”, contact the Christian Faith Publishing media department at 866-554-0919.